This is a wonderful, tender, perfectly flavorful recipe that we enjoyed a lot! It makes a big double batch of muffins so we were able to enjoy these for several days - though they were so tasty that they really didn't last very long! These muffins are packed full of delicious fruit (I used a combination of ripe pears and homemade applesauce, pureed together in the Vitamix to blend and it worked really well). They are lightly sweet, and deliciously fragrant and lightly spiced with cinnamon. The streusel topping gives them a wonderful texture. There is nothing I would change about these - we will definitely make these again soon! Preheat the oven to 350 degrees. 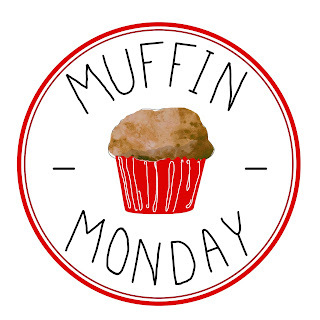 Prepare a muffin pans with liners or nonstick cooking spray. In a medium bowl, combine the oil with the white and brown sugars. Mix in the eggs followed by the pureed pears, lemon juice, and vanilla. In a separate bowl, mix together the flour, baking powder, baking soda, salt, cinnamon, nutmeg and allspice. Add dry ingredients to wet ingredients. Mix only until combined, mix in chopped walnuts gently (if using). Pour batter evenly into prepared muffin pans (fill each cup about 3/4 of the way full). Combine the oats, brown sugar and cinnamon for topping in a small bowl and cut the butter in with a fork or pastry cutter. Sprinkle topping mixture evenly over muffins. Bake 20 minutes, or until toothpick inserted into middle comes out clean. Sounds delicious Rebekah and I love being able to use up over ripe fruit. Wow, pears and applesauce! These look scrumptious, Rebekah! Cinnamon and pears sound so good together, and perfect for this time of year! I like the combination! It's good to have something other than the traditional apple cinnamon. I find my Vitamix so useful for all sorts of things--now I'll add making fruit purees to it!